Food. Fireworks. Fun. That’s the scenario for millions of people that celebrate America’s Independence Day on July 4, one of the year’s liveliest holidays. Unfortunately, for pets that get frightened during the festivities, it can be anything but a celebration. Driven by a fearful reaction to fireworks and other loud sights and sounds, dogs and cats that flee from their homes often end up in municipal animal shelters. Bring all pets indoors whenever neighborhood fireworks displays are likely. Secure dogs in a room and play music or turn on the television to drown out the frightening sounds. 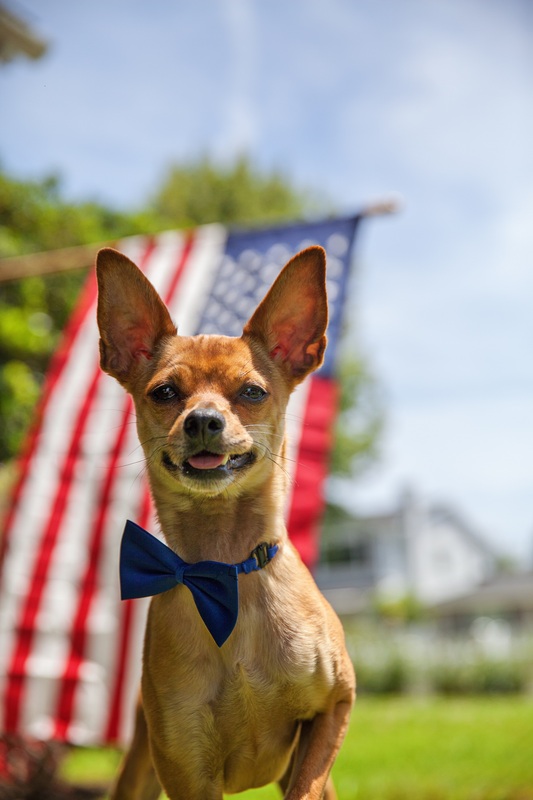 Keep pets away from lit fireworks at all times, including your own backyard, as some will chase after the bright moving objects and are at risk to be burned or blinded in the process. Ensure that pets are wearing current identification tags. For the ultimate identification protection, all pets should be microchipped so that they can scanned at an animal shelter or veterinary office. If your pet does go missing over the holiday, check with local animal shelters immediately. Go to the shelter in personto identify your pet, rather than calling or emailing the shelter, as staff may not be able to respond in a timely enough fashion to ensure your pet’s safety. This advice was submitted by the Best Friends Animal Society, based in Utah and California.